On January 18, 2013 this blog will be exactly 5 years old. And because 5 is my favorite number, I am celebrating this moment with 5 blog posts about the blog. The original purpose of my blog was to pave the way for my first book. But 5 years later I have realized that NOOP.NL has become more than just a vehicle for my book projects. A blog helps me to run experiments. I sometimes have a half-baked idea that I can put to the test by simply writing about it. Sometimes people like the idea, sometimes they don’t. Early feedback from readers helps me not to waste time on unsuccessful ideas. 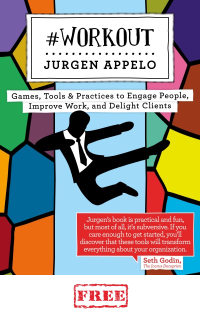 And it’s through my blog that I learned that readers wanted me to write about management. Some people say, in order to learn a topic best you need to teach it. An alternative version of this is, in order to understand a concept you have to write about it. I wrote some of my best blog posts without any idea about my own opinion when I started writing them. The activity of writing helps me develop and order my thoughts. Of course, a blog is just another medium for broadcasting information. 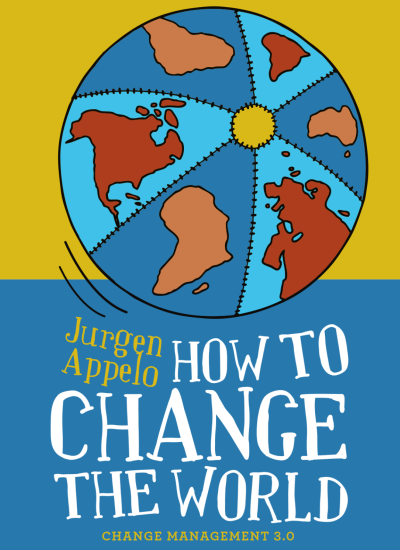 I have used NOOP.NL to announce my books, my courses, my presentations, and many other things I wanted to spam about. Unfortunately, many bloggers forget this only works when you have something interesting to say besides your marketing announcements. Besides the marketing of stuff another thing this blog helps me with is the marketing of me. Some call it personal branding, others call it narcissism. Whatever. I compare it to putting make-up on. I accentuate my positive attributes, and I camouflage my bad ones. (With my blog, not with make-up.) The result is a slightly improved version of me. Last but not least, maintaining a blog invites serendipity. I never expected publishers would be eager to sign a book contract simply because I have a popular blog. Likewise, I’ve been invited to speak at events only because I wrote a popular post or two. I can never predict these things. I only know that more good things happen because I have a blog. And those are the 5 reasons I’m still blogging after 5 years. So, can you guess which of these 5 reasons is behind this blog post? I have a special gift for 25 readers of this blog! 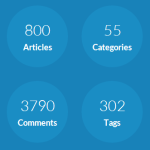 Send me an email explaining which of my 663 blog posts was important to you and why. 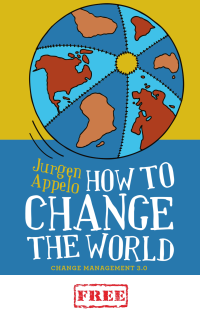 Out of the contributions I will select 5×5 people who will get a signed copy of How to Change the World (limited color edition), with a set of Delegation Poker, Moving Motivators and some Kudo Cards. The deadline is 31 January 2013. I agree with you, these are the great tips for blog writing. I enjoy it keep sharing ! !